The United Auto Workers Retiree Medical Benefits Trust faced a unique challenge communicating about Choosing Wisely to its roughly 720,000 members: How do you reach such a large group of people as diverse geographically as they are in age, spanning five generations? A big part of its effort was engaging members about their health care to maximize the value of their benefits and contribute to their quality of life. The Trust approached the communication challenge by working hard to connect with all its members, regardless of education or health literacy level, with the message that more care doesn’t always equate to better health—and could actually cause harm. “Each generation has different preferences when it comes to learning. Some prefer reading information sent in the mail, others go online, while others prefer in-person conversations. Additionally there are generational values that may also need to be recognized,” said Matthew Wood, Director of Communications for the Trust, one of the largest non-governmental purchasers of retiree health care benefits in the United States. A baby boomer may be more inclined to ask questions and be more involved with their care while older generations may come from the viewpoint that they should not question a doctor’s recommendation, he said, noting that the Trust had to recognize these nuances to foster an understanding that asking questions is okay. Outreach efforts ranged from direct mail to web and live presentations at UAW retiree meetings. 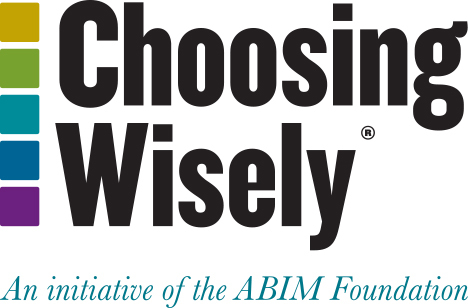 In 2015, the Trust introduced Choosing Wisely to its membership through a tri-fold mailer that included pocket cards from Consumer Reports with five questions patients can ask their doctor – a positive action resulting in more than 9,000 requests for additional cards. The Trust launched its own quarterly newsletter in 2016 covering Choosing Wisely topics and through the first half of the year presented Choosing Wisely topics at 527 retiree meetings reaching nearly 55,000 members. The Trust also dedicated a section of its website to Choosing Wisely for those who prefer to access information through the internet, and this year has focused on promoting more online resources through the website. “I think the value of Choosing Wisely is both measurable as well as intrinsic,” said Wood, adding that starting with a focus on the five questions patients can ask their doctor is a good way for large organizations such as his to begin educating their members or workforce about Choosing Wisely. Wood added that the Trust routinely receives emails, handwritten letters and personal thank you notes from members about the Choosing Wisely information they receive in mailings, at retiree meetings and on its website.